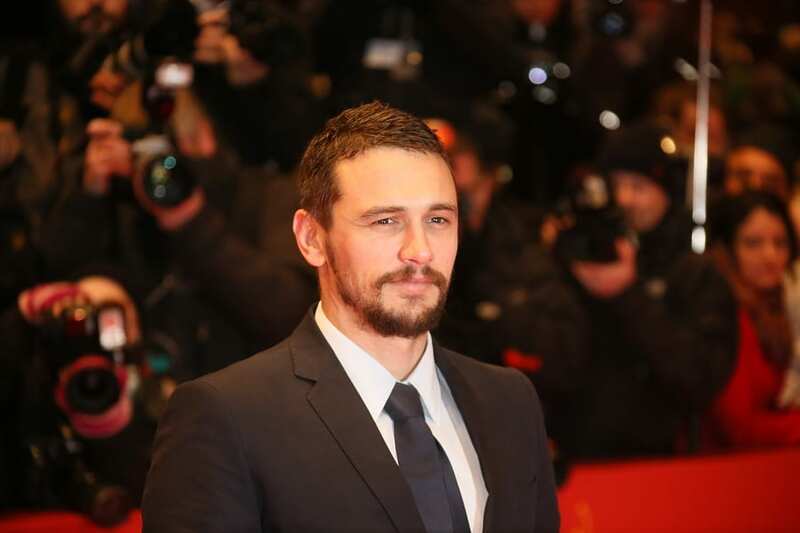 Actor James Franco has had a very successful career in Hollywood and more recently began trying his hand at directing. He’s been promoting his upcoming HBO drama called “The Deuce” and recently opened up about his previous struggles with mental health before he started acting. Franco has said that his problems with addiction and depression are part of what ultimately led him to start his acting career. Franco now has a clean cut image but as a youth he was troubled and dealt with his own addictive personality which he now channels into more positive pursuits. He managed to recover from addiction at the age of only 17 and threw himself into acting as a way to stay sober and focus on something more productive. Franco has been sober for his entire acting career and has never strayed from his decision to avoid drugs and alcohol. James Franco grew up in Palo Alto, California in a very academic family that focused a lot of attention on his studies. Franco was very talented at math and even interned at Lockheed Martin. His father, a Stanford graduate, continually encouraged him to get good grades and Franco scored very high on his SATs. In spite of his academic success in school, Franco was also a rebellious teen who often got into trouble. He was arrested multiple times in his youth for underage drinking, graffiti, and shoplifting among other things. He was part of a group that stole designer fragrances from department stores and sold them to classmates at his school. Franco admits that his rebellious phase was mainly due to his own shyness and feeling uncomfortable in his own skin. His teen angst led him to engage in some risky behaviors that he ultimately decided were not for him. After a few years of addiction and run ins with the law, Franco eventually cleaned up his act in time to get good grades and graduate high school without any more issues and has remained sober since. Franco’s academic upbringing led him to entertain ideas of a career in science but he had always secretly wanted to become an actor. He went to UCLA for a year as an English major but eventually dropped out against his parents wishes to pursue acting instead. Franco took acting lessons at Playhouse West in LA while working at McDonald’s to support himself where he would practice different accents on customers. He threw himself into acting and as a sober person he found that his addictive personality shifted into an intense focus on his work. Acting took over his life to the point where he wouldn’t really socialize much and he became very depressed. As his acting career began to take off he did nothing but work and began to feel isolated and lonely, struggling with his feelings of depression. Franco also felt the need to return to his studies and 10 years after dropping out, enrolled again at UCLA taking on extensive courses in philosophy, literature and French. He became absorbed once again in academics all while balancing his film career, often reading books during his downtime on set. After so many years of hard work in both acting and school, now Franco is more engaged in therapeutic hobbies. He says that he has started a new chapter in his life and has taken up surfing and dancing at the International Dance Academy as a way to relax and get over his addiction to work. Franco more recently realized that his problems with isolation and overworking are something that he needs to address. Franco’s more recent move has been to directing which is something that he has developed a passion for although he says that he will never give up acting. He has directed several short films and documentaries but his newest project is with the HBO show “the Deuce”. Franco plays twins in the movie and directs himself in two episodes, which became challenging especially in scenes where the twins spoke to each other. The actor and director embraces these kinds of challenges and enjoys his work in Hollywood, always searching for something new to push his creativity and abilities. He was usually cast in dramatic roles in the past but eventually branched out to star in comedies like “Pineapple Express” where he played a stoner/weed dealer alongside Seth Rogan. The role is ironic for Franco who has not used any type of drug in decades and feels that there is no need for him to use substances like marijuana. As one of Hollywood’s most versatile and talented actors, James Franco continues to be involved in multiple projects but he is trying to slow down and take care of his mental health so that he can enjoy a long and successful career. More recently in the news after winning a Golden Globe allegations of sexual misconduct were brought to light and Franco has kept out of the public eye and continues to work.